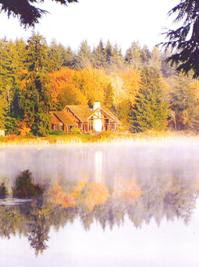 Crystal Lake is a small private community on the King / Snohomish County line in Western Washington. Crystal Lake was established in 1929 as the Seattle Rod and Gun Club. The Crystal Lake Lodge is a great building in our neighborhood that we have many holiday parties at, weddings, meetings, and get togethers. The original clubhouse burnt down in an electrical fire in the 80's. It was used in the filming of a movie called "Black Widow" We have also had a Ferrari commercial filmed here down the long drive to the clubhouse. The lodge has had many guests, including Bill Gates, who had a deck built just for his party. I got married here in 1996, as well as my sister in 2002. Someday, I hope my kids will be married here as well. I have many great memories of this wonderful place! It sits right on the water and is a great place for large gatherings! Welcome to our little slice of heaven, the Crystal Lake Lodge! I distinctly remember the lodge from "Black Widow". Oddly enough, I just watched it again a few days ago on cable! It is beautiful and I am sure a great setting for all sorts of gatherings. 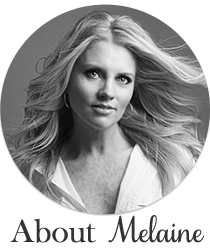 Thanks for posting Melanie! What a beautiful lodge...I think my husband and I just might visit there! It does look like a wonderful spot for a wedding...My daughter says when she gets married again...she wants a "destination wedding" and this looks like a wonderful choice (I think). She even has friends who live in the area. Can't wait to visit there..and I'll have to check out that movie.."Black Widow"..too. Thanks again! I saw the movie Black Widow years ago. I remember seeing the fireplace and loving it. What a fantastic venue for life's celebrations. You are fortunate to have something so lovely, so close by. Hi, I found your blog while searching for information about the Crystal Lake Lodge. My fiance and I are interested in booking it for our wedding/reception, but we are having a hard time finding contact information online. If you are able, would you please send me some information for the lodge? My email is [email protected] Thank you! I recently saw one of my friends were looking at doing a wedding at the Crystal Lake Lodge. I was interested as well, i just proposed to my girlfriend of 4 years and we are looking at different venues. Is it possible for you to send me some information on the Crystal Lake Lodge? Thank you! Everyone seems to want to go to or visit Crystal Lake lodge. It does look quite beautiful. I found your website really interesting about home decorations & improvement. Can't wait to apply what I've read. Hi, I was wondering if you wouldn't mind sending me contact information for crystal lake lodge. I really appreciate it! I would love contact information on Crystal Lake Lodge! My email is [email protected] - I am desperate!